Can I Use My E-Cigarette on Airplanes? 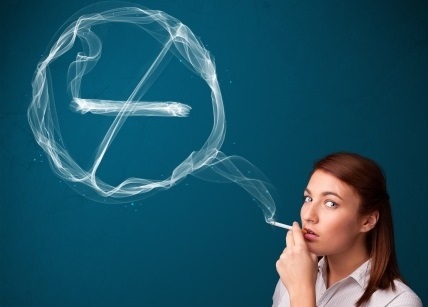 One of the major selling points of e-cigarettes is the fact that you can use them in many places where smoking is prohibited. Many hotels and rent-a-car companies don’t give e-smokers a hard time, and you can even use your e-cigarette at your desk in many workplaces. However, Michael Felberbaum of the Associated Press reported in 2011 that e-cigarettes are affected by the United States Department of Transportation’s ban on in-flight smoking. Therefore, you cannot use your e-cigarette on airplanes in the United States. Why Can’t I Use an E-Cigarette on Airplanes? According to senator Frank Lautenberg, the primary reason for the ban of e-cigarettes on airplanes is the fact that no studies have been conducted on the long-term effects of e-smoking, and it would not be wise to subject non-smoking passengers to the unknown effects of e-cigarettes. Using an e-cigarette on airplanes would subject other passengers to potential health risks which aren’t yet fully understood. Many e-cigarette users are former smokers who are old enough to have watched their freedoms being taken away one by one, to the point where it practically feels illegal to light up anywhere outside of one’s own home. Many of the concessions that smokers have had to make are logical; it’s unfair to subject others to secondhand smoke in enclosed environments, for example, or to smoke in a rental car that may next be used by a non-smoker. Many of these same concessions will have to be made by e-smokers, as illustrated by the ban of e-cigarettes on airplanes. However, e-smoking remains legal in many places, and to keep it that way for as long as possible, e-smokers need to be considerate of others. If you are around non-smokers and want to puff on your e-cigarette, ask the people in your vicinity if they mind. The fact that you can use your e-cigarette doesn’t always mean that you should, and educating non-smokers about e-cigarettes can help alleviate the fear that many people feel when they see any object that resembles a cigarette. According to the Los Angeles times, the United States banned smoking on all U.S. flights under six hours in 1990. Some airlines, such as Northwest, had already banned smoking on most flights in anticipation of the new regulation.